TalkTalk has published details of where its TV viewers will find its channels from 2nd June, the date when the internet service providers associated with YouView are reshuffling their channels. The change will take place between 9am and 11am and viewers won't need to do anything. Scheduled recordings will change to the new channel numbers, which are listed below. The reshuffle makes use of the 300-399 channel number range, which was reassigned to YouView last year. Channels 300-599 are now designated for internet delivered channels, whereas any channels in the ranges 1-299 and 600-799 are part of the Freeview terrestrial service, with any duplicates or regional variations in the 800s. Please note that the channel list is provisional, subject to change. 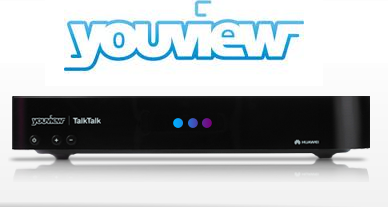 The full TalkTalk TV channel list is found on the YouView listings page. The changes to YouView numbers is also affecting BT users, details about BT TV changes here.